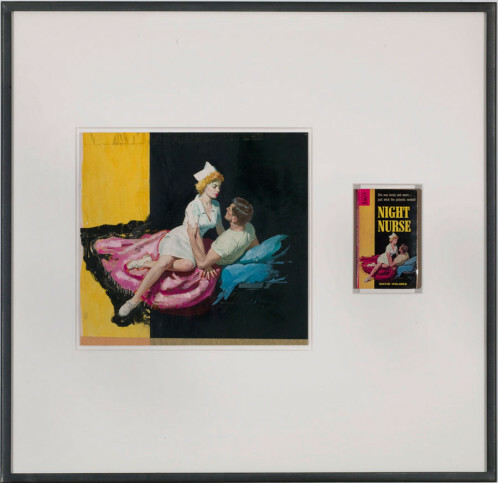 Gagosian Gallery New York currently shows Original – an exhibition by Richard Prince. 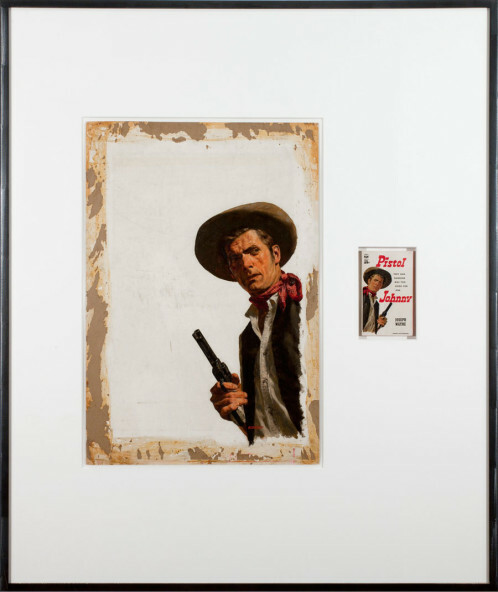 Resuming the subject of Richard Prince: American Prayer, the theme of his exhibition at the Bibliothèque nationale de France in 2011, Prince exhibits objects of his private collection. It all began with the acquisition of George’s Orwell’s book “1984”, the first rare item that Prince bought. Since then he never stopped. With Original, Prince pushes his interrogation of the symbolism of authorship. By cutting, reformatting or just owning art pieces, he makes them his, as a collector as well as a creator. As such, he juxtaposes his own signature pieces such as illustrations of actors like Charles Bronson with their autographs and signed canceled checks or vintage adult novels with their original cover.